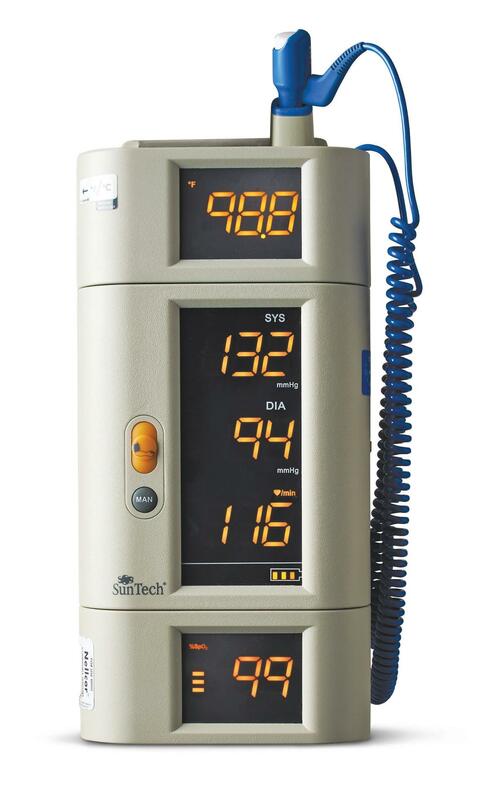 The SunTech® 247 expandable diagnostic station combines the efficiency of an automated vital monitor signs with the convenience of a manual mode. Fully modular, you can start with the BP monitoring only, then add SpO2 monitoring or patient temperature or both. BP accessories include: 8′ (2.5 meters) blood pressure hose, Adult & Large Adult all-purpose cuffs, mains/power supply, mains/power cable, resource CD, Quick Start guide, reference card.